3 weeks ago my life changed. 3 weeks ago I helped on a 3 car accident fatality. There were 4 dogs involved and I helped by recruiting them to one area with me until family and/or the local shelter contacted. 3 weeks ago a local television crew came to my door courtesy of a neighbor who felt we would provide a “story”, sorry folks my spouse and I don’t work that way and my neighbor now knows NEVER to bring strangers to my home. 3 days ago my property management office gave my personal information to an independent adjuster again without contacting me first. 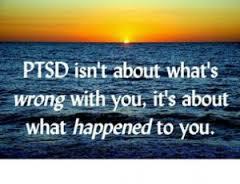 3 weeks ago I saw my psychiatrist and he said that with so much that has freshly happened he diagnosed me with PTSD (Post Traumatic Stress Disorder). Today (3 weeks later I saw my psychiatrist and yep you guessed it PTSD) he has also said he will be there for me as much as possible. I have had issues with gastrointestinal problems since the fatality. Cramps, I’ve thrown up, lack of appetite and yet I am very bloated. I never dreamed that what I am going through would be as a result of helping others. As I said to my psychiatrist I don’t want to use my mental illness in addition to all of this, but I feel incredibly fragile right now. The best way to describe it? I feel a bunch of emotions on the inside, and I visualize my hands pushing upwards and out of me, but then it doesn’t happen, the cement pushes downwards blocking my soul.